1.1	The name of the Union is the Boland Golf Union and under the jurisdiction and control of the Union shall comprise the geographical area of the West Coast District Municipality, the Overberg District Municipality and the Winelands Districts Municipality. 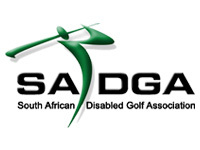 The Union shall be affiliated to the South African Golf Association. 2.1	The Headquarters of the Union will be at Wellington or at such other place as the Union Executive may from time to time determine. 3.7	UNION:	shall mean the Boland Golf Union as specified and recognised in clause 10 of the Constitution of the South African Golf Association. 4.1	In case of doubt as to the meaning of any clause hereof the interpretation of the Executive shall be binding upon members until such time as the Union may otherwise determine at a General Meeting. Any decision made by the Union at a General Meeting under the provisions of this paragraph shall not affect the validity of any act done or omitted in terms of prior valid ruling given by the Executive. 4.2	The headings of the paragraphs in this constitution are for reference purposes only and shall not affect the interpretation of any of the provisions to which such headings relate. 5.1	The Union is the controlling body of amateur golf in its Area of Jurisdiction and its purpose is to co-ordinate the activities of its members and to ensure the maintenance of the traditions of amateur golf in the area of Jurisdiction. 5.2	The Union shall be a body corporate having an existence independent of its members with perpetual succession capable of suing or being sued in its own name. 5.3	All its assets shall be registered or held in the name of, or on behalf of the Union. 5.4	Members shall not be liable to meet the debts, engagements and liabilities of the Union and the liability of members shall be limited solely to the amounts due by them in respect of affiliation fees, levies or other monies payable by them in terms of this Constitution. 6.17	To generally further and safeguard the interest of the Union. 7.1	The Union accepts and is bound by the Rules of Golf and the Rules of Amateur Status together with such amendments or additions thereto as may from time to time be adopted by the R&A Rules Limited together with the South African Golf Association, and the decisions which it may from time to time take on the interpretation of the Rules of Golf. 7.2	All competitions shall be played in accordance with such rules. 7.3	It shall be a condition of affiliation to this Union that all Affiliated Clubs accept, and are bound by, the Rules of Golf and the rules of amateur status as set out in the preceding sub-clause. 7.4. Any club which is affiliated to the Union, which organises and/or holds any competition, the conditions of which allows, or connives at, the use of its course for the holding of any competition, which does not comply with the said Rules of Golf and the rules of amateur status, shall render itself liable to suspension or forfeiture of its affiliation to the Union. 8.1	The income, property and monies of the Union from whatever source derived shall be applied and invested solely towards the promotion of the objects of the Union as set forth in this Constitution and no portion thereof shall be paid or transferred directly or indirectly by way of dividend, bonus or otherwise by way of profit to any member. 8.2	Nothing herein contained shall however, prevent the making of grants by the Union to a member for the purpose of carrying out its objects or furthering its interests or the payment by the Union to any member or person in respect of remuneration and/or expenses for services rendered to the Union. 9.1	All members shall be bound by this Constitution and the Constitution of the South African Golf Association. Note:	If a member is liquidated or under business rescue, the BGU will be treated as a preferential creditor. 9.2	Membership of the Union shall, subject to the provisions of this Constitution, entitle members to enjoy the privileges and advantages of the Union including the rights of players to participate in golf tournaments and events held under the aegis of the Union and its members and under the conditions governing the game. 9.2.2	Participation in Senior Golf shall commence once a golfer reaches the age of 50 (subject to the SAGA regulation). 10.1 Each member shall pay to the Union an annual fee and such further levies as may be prescribed from time to time at an Annual General Meeting of the Union or at a Special General Meeting of the Union called for this purpose, except that the Executive Committee, may without the consent of an Annual General Meeting or Special Meeting, raise annual affiliation fees by no more than 10 % per annum from the previous year’s figure. Such affiliation fees shall take into account fees due by the Union to the South African Golf Association. 10.2 Liability for payment of affiliation fees and levies, if and when prescribed, by members as accrued on 1st day of January and these shall be paid by not later than 28th February of the same year. 10.2.1	The affiliation fees of new players collected shall be paid over to the Union on a monthly basis. 10.3	The annual affiliation fee and any levies payable by a member shall be based per capita on the number of players belonging to and handicapped by the member. 10.4 When making payment to the Union in terms of sub-clause 10.1 each member shall send to the BGU Office/Director of Golf the following particulars as at the 1st day of January – the number and class of membership (male, male senior and junior players). 10.5	No member ceasing its membership of the Union for whatever cause, shall be entitled to a refund of any amount, or portion thereof, paid by it to the Union in terms of the a foregoing. 10.6 Members shall be responsible to the Union for the payment to it of the prescribed affiliation fees and such further levies due by their players. If a member has not paid the affiliation fees and levies, if any, due to the Union by the final date specified in sub-clause 10.2 and fails thereafter to pay the same within one month after the golf club has been called upon to do so, the golf club concerned shall cease to be affiliated to the Union and the South African Golf Association, until such time as the due affiliation fees, levies and interest have been paid by the golf club concerned. 11.1	A member shall cease to be a member of the Union and to enjoy the privileges thereof if it resigns, in writing, from the Union or, if its membership is withdrawn by the Union at a General Meeting. said decision. The Union may at such Special General Meeting or any lawful adjournment thereof, confirm, vary or set aside the decision of the Executive. The decision of the Executive shall remain in full force and effect until it be varied or set aside by the Union as aforesaid. The Executive may, upon receipt of any application in writing from a member whose membership has been terminated in terms of any of the foregoing sub-clauses, reinstate such member upon such terms and conditions as it may decide. The affairs and activities of the Union shall be administered by the Executive Committee acting under the authority conveyed to it by this Constitution or by any mandate given to it by the members at a General Meeting. 14.1.2	A Vice-President, who shall be elected at the Annual General Meeting and who shall hold office until the conclusion of the next Annual General Meeting. 14.1.3	The retiring President and Vice-President shall be eligible for re-election without nomination. 14.2	Any member of the Executive who shall absent him/herself from two meetings (save in exceptional circumstances) of the Executive without leave of absence having been granted shall be deemed to have forfeited his/her seat, and the vacancy so caused shall be deemed a casual vacancy. 14.3	(Bis)	In order to provide for and pursue the development of golf in the Republic of South Africa and elsewhere and to provide a broader basis of Group Representatives. 14.3.1	Two (2) persons nominated in accordance with affirmative action principles shall serve on the Executive Committee who shall each have one (1) vote on the Executive Committee and at the Annual General Meeting. 14.3.2	The persons so nominated must be members in good standing of their respective clubs which clubs must be affiliated to the Union. The persons so nominated must have served for at least one year on the club’s committee and for the duration of that person’s tenure as an Executive Member that person must also be serving member on aforesaid Club committee. Any former President, Vice-President or any former member of the Executive or any person duly nominated by the Executive, may be elected by the Union at an Annual General Meeting as an honorary life member, in which event such person shall hold office for life. Such person can attend any General Meeting, Captains Meeting or Special General Meeting, but shall have no voting rights. 16.1	The Executive shall meet regularly but at least once in every two calendar months. In addition to these meetings, the Management Committee (President, Vice-President, and two other, elected by the President) shall meet in the alternate calendar months. 16.2	Further meetings of the Executive shall be held on the directions of the President. 16.3	The BGU Office/Director of Golf shall, on the instruction of the President, or on a written request of at least three members of the Executive, convene a special meeting of the Executive. Such request shall state the purpose for which the special meeting is to be convened. 16.8	The President shall ex-officio be a member of all sub-committees. 17.1	To adopt, amend, review and rescind by-laws for the regulation and administration of the affairs of the Union and its members. A motion to review and rescind a decision shall require a two-thirds majority, such motion to be submitted to the office in writing 14 days before a meeting at which such motion is to be considered, and/or reviewed. A new counter- motion must accompany such a review. Once a motion to review and rescind is successful, a simple majority is required to pass such a motion. 17.3	To appoint such Committees and sub-committees from among its number, or otherwise, for such purposes and upon such terms as may be considered desirable and to delegate such powers thereto as may be necessary. Sub-committees appointed to perform a special task, will be given a written mandate from the Executive. 17.7	To depute and authorise officers of the Union to act on its behalf in the acquisition and alienation of property and to mortgage or use the same as security. 17.11	To appoint for such purposes as the Executive Committee may deem fit, a sub-committee dealing with disciplinary matters ("the disciplinary committee") which shall consist of at least three members, at least a majority of whom shall be members of the Executive Committee other than the President and Vice-President. •	any combination of the above. •	any combination of the above whether in the alternative or otherwise. 17.11.6	Any person summoned to appear before the disciplinary committee shall be given written notice, advising him of any charge or allegation against him and he shall be given the opportunity of being heard personally in reply thereto. Such person shall be entitled to legal representation at any disciplinary hearing and to call witnesses on his behalf. 17.11.7	The disciplinary committee shall not be bound to follow any form of judicial or quasi-judicial procedure or the rules of evidence during the hearing of any matter or in arriving at a conclusion as to the facts of the matter being heard. 17.11.8	Any person who is found to be guilty of any of the offences set out in clause 17.11.4 above and is punished in terms of clause 17.11.5 above shall have the right to appeal against the finding of guilt and/or the punishment to a committee consisting of the President, the Vice-President and one other member of the Executive Committee, which member shall not have been a member of the disciplinary committee which made the finding of guilt and/or which imposed the punishment. Such appeal shall be noted by the giving of written notice to the Union of such appeal within fourteen days after the handing down of the decision of the disciplinary committee, unless the Executive Committee shall have granted an extension of such time period in which case they shall lay down the extended time limit. 17.12	To appoint any person to represent the Union on any golf or other sporting body, which the Executive considers necessary or advantageous. 17.13	To nominate the Union’s representative on the Executive of the South African Golf Association. The Management Committee of the Union shall form an Emergency Committee with power to act in relation to any situation or matter which the President certifies to be of an urgent nature. The President shall be required to give due notice to other members of the Emergency Committee of the matter to be considered and of which he has noted to be of an urgent nature. Two members of the Emergency Committee shall constitute a quorum to act on behalf of the Union, subject to any action taken by such Committee being reported to the next ensuing Executive Meeting of the Union and duly ratified. The powers hereby conferred shall relate to the necessity to act in relation to all urgent contracts, matters of a legal nature, agreements or legal process, but shall not empower the said Committee to take policy decisions on behalf of the Union. The said Committee shall have powers of co-opting any person to the said Committee for such purposes as required, but such person shall have no vote. The financial year of the Union shall run from 1st day of January to the 31st day of December. 20.2	The Accounts of the Union shall be audited/reviewed annually by a Registered Public Accountant/ Auditor, who shall not be an Executive Member and who shall be appointed at the Annual General Meeting of the Union. In case of a vacancy occurring in the office of Accountant/Auditor during the year, the Executive shall forthwith appoint a Registered Public Accountant / Auditor to fill the vacancy. 20.3	Books of account of the affairs of the Union shall be kept and such books, together with all other papers and documents connected with or relating to the business or the affairs of the Union, shall be kept by the BGU Office/Director of Golf and shall be at all times accessible to the Executive Members. 20.4	The Executive shall from time to time determine under what conditions or regulations the books of account and other documents of the Union shall be open to inspection. 22.1	An Annual General Meeting of the Union shall be held each year during March. 22.2	The BGU Office/Director of Golf shall give at least 14 days preliminary notice of the date of the Annual General Meeting to the Executive, past Presidents and members. 22.5	Each member shall notify the BGU Office, in writing, 24 hours prior to the holding of the Annual General Meeting, of the names of its delegates who will attend and represent it at the Annual General Meeting. It’s omission to do so will disentitle the delegates of the member concerned from voting at such meeting. No delegate may represent more than one member. 23.1	The President or in his absence the Vice-President, shall preside as Chairman at Annual General Meetings. In the absence of all the aforementioned, the persons present at such Meeting shall appoint one of its numbers to act as Chairman. 23.2	There shall be deemed to be a quorum at the Annual General Meeting and Captains Meeting if there are present not less than 10(ten) member clubs duly qualified and exclusive of the Executive. If a quorum is not present within half an hour of the time for which the meeting has been called, the Chairman shall declare the meeting stand adjourned to the following day at the same time and place and those persons present at such postponed meeting shall constitute a quorum, irrespective of the number present, and may transact the business of the Annual General Meeting and Captains Meeting. 23.3	No business or resolution of which due notice has not been given shall be discussed at the Annual General Meeting provided that it shall be competent for the Chairman, at his discretion, to allow any amendment of wording of any resolution to be moved notwithstanding that due notice has not been given of the intention to move such amendment. 23.4	A duly appointed person shall take minutes of the proceedings of the Annual General Meeting and shall circularise these to the Executive, past Presidents and members as soon as possible after the meeting. 23.5	Save as is otherwise provided by this Constitution, all resolutions put to an Annual General Meeting shall be passed and shall be held as valid and effectual if carried by a majority of the Executive and delegates present and entitled to vote at the Meeting. 23.7	Any member who has not paid its affiliations fees or levies as herein before provided by the date of the Annual General Meeting, Special General Meeting and Captains Meeting shall not be entitled to attend or vote at such Meetings. 25.1 Business related to league matters will be dealt with during the yearly league meeting which will be held during September of each year. Notice of any changes in the league format which members have decided on during the league meeting, shall be given in writing to all the BGU Club captains not later than 14 days prior to the captains meeting. 25.4	To consider the affiliation fees for the ensuing year, and if approved by this meeting, shall be ratified by the Annual General Meeting of the Union. 26.1	The Executive may at any time convene a Special General Meeting of the Union and it shall do so if so requested in terms of sub-clause 11.2 or upon receiving a requisition to that effect signed by three members and stating the purpose of such Meeting. 26.2	Upon receipt of a directive from the Executive or a request as aforesaid the BGU Office/Director of Golf shall, subject to the provisions of the sub-clause 29.2 give 14 Days written notice to Executive, past Presidents and members, of the date, time and place of the proposed Meeting and the business to be transacted thereat. 26.3	No business shall be discussed at a Special General Meeting save the business for which the Meeting shall have been called. 26.4	At all Special General Meetings the provisions of clauses 23, 24 and 25 shall, mutatis mutandis, apply, provided, however, that if a quorum is not present the Special General Meeting shall be deemed to be dissolved. 27.1	The Constitution shall not be repealed or amended except by resolution passed at an Annual General Meeting or at a Special General Meeting called for that purpose, which resolution shall be passed by not less than two-thirds of the Executive and delegates present. A copy of all amendments to the constitution must be submitted to the Commissioner for the South African Revenue Services. 27.2	Where a Special General Meeting is convened for the purpose of sub-clause 30.1 the provisions of clause 24 regarding notices of a meeting shall, mutatis mutandis, apply. 28.1	The Union may not be dissolved, wound up or placed in liquidation, except by a resolution passed at a Special General Meeting of the Union called for that specific purpose which resolution shall be passed by not less than two-thirds of the Executive and delegates present at such meeting. 28.2	If at a Special General Meeting of the Union it is resolved that the Union be dissolved or wound up and placed in liquidation, a liquidator shall be appointed at that meeting. If after payment of all debts and liabilities of the Union any property of whatsoever nature remain, the same shall be given to any similar public benefit organization which has been approved in terms of section 30 of the act. 29.1	All notices to be given in terms hereof shall be in writing and signed by the BGU Office/Director of Golf. 29.2	Notices posted to the last known address or e-mail address of the persons entitled to receive the same, shall be deemed to constitute effective notice. 29.3	The accidental omission to give notice to a person entitled to receive the same or the non-receipt of such notice shall not invalidate any meeting or proceedings to which such notice related or any decision taken thereat. 29.4	All property vesting in the Union shall be registered in the name of the Trustees for the time being of the Boland Golf Union and all documents necessary for signature and authentication shall be deemed to have been duly signed and authenticated on behalf of the Union, when signed by the signature of either the President, Vice-President or a member of the management committee/Director of Golf. Any disputes arising out of or in connection with the enforceability of this constitution or the application and interpretation of the provisions thereof or any dispute between The Boland Golf Union and another national sports federation, or between members of the Executive Committee or between the Executive Committee and members shall be referred to the Arbitration Foundation of South Africa for resolution through mediation or expedited arbitration in terms of the Rules and Procedures for the Resolution of Disputes in Sport prevailing at the time such dispute is so referred. In the event of arbitration in terms of the foregoing, such resolutions shall be final and binding on the parties to the dispute.